This story was sent to us by our lovely editor Mala. 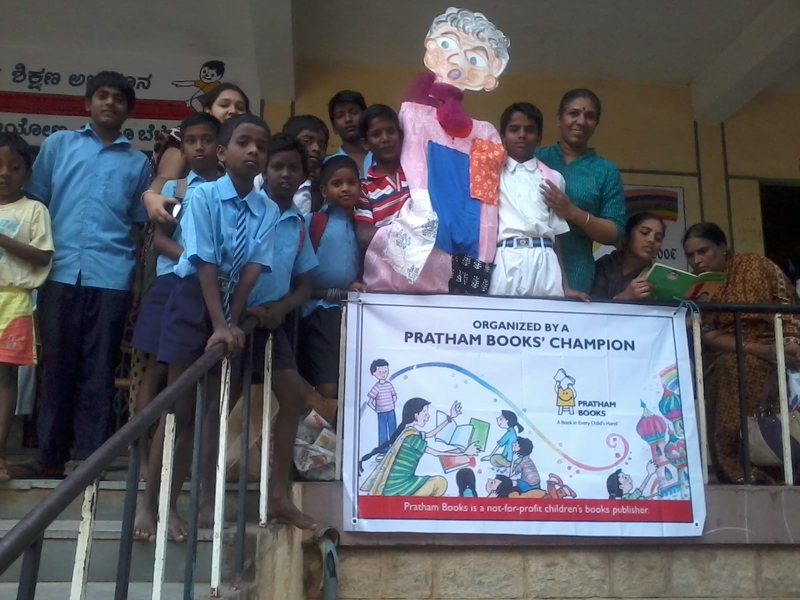 Mala Kumar is a journalist and author, and editor at Pratham Books. She loves playing with children and with words, preferably together. Her books include Paper Play, Ritu's letter Gets Longer, Kolhapur to Beijing-Freestyle!, the Happy Maths Series, and the Rituchakra Series. 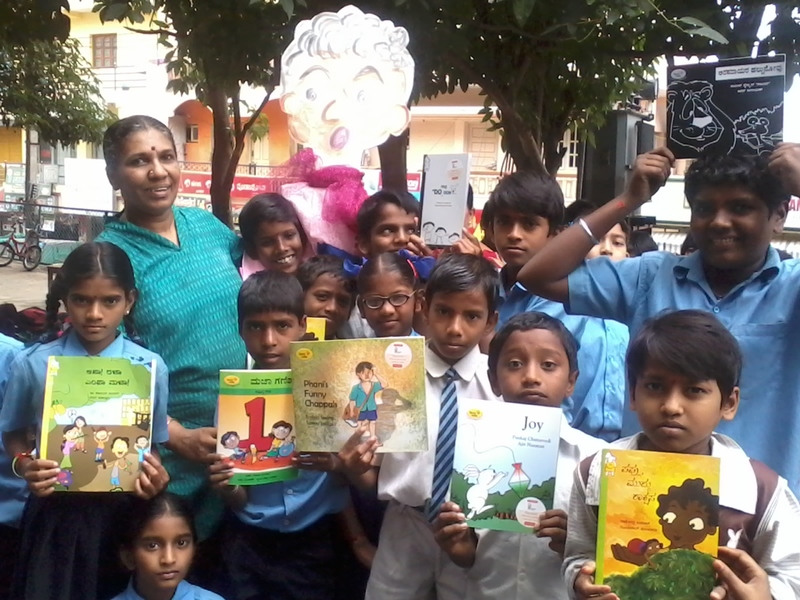 She's currently feeling like a million bucks post the good reviews on her latest outing, a set of books on financial literacy for children called the Rupaiya Paisa Series. He came, he saw, he was loved! 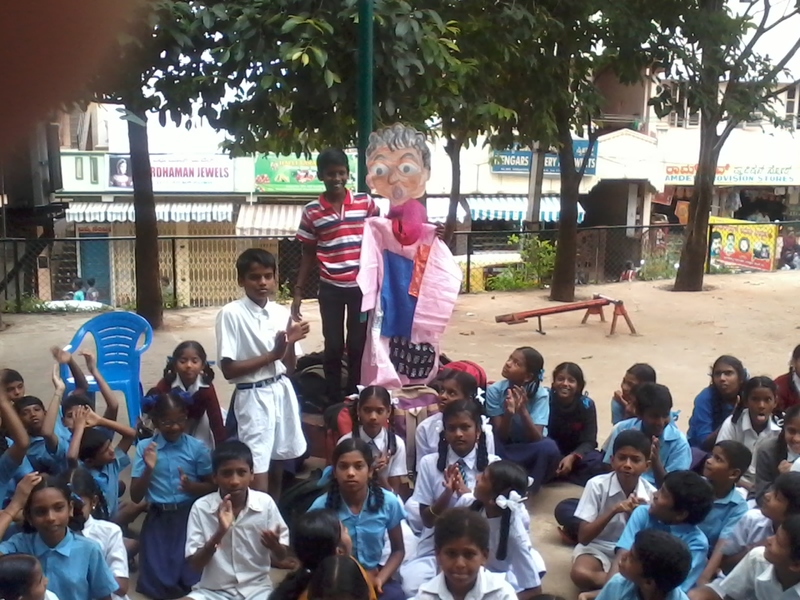 Paplu became the new hero for nearly 250 students of Hosakerehalli Government Kannada Medium School in Bangalore. With some encouragement, the students translated the name of the place to New-Pond-Village. And thus began the joyful experience of learning and sharing. Even as the pond in the locality is closing up fast, the minds of the children are expanding, thanks to the care they get from their teachers. 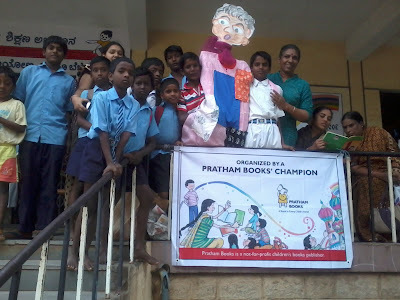 For the Pratham Books One-Day-One Story Literacy Day Campaign, little Paplu came dressed in a smart orange jersey first, and then as the story proceeded with much laughter and clapping, giant Paplu came out in a multi-coloured kurta. One smart kid put his hand through the sleeve, and soon 'Paplu' was shaking hands with everyone! So engrossed were we in the activities that my young colleague Shruthi and I forgot to get pictures taken during the storytelling! 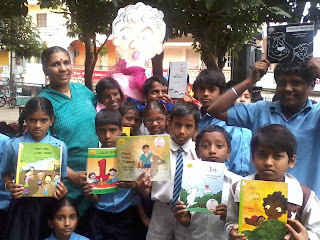 “Such events help our children to connect with the outside world, and learn languages well too,” said the Headmistress, and the teachers wanted more such storytelling events too. 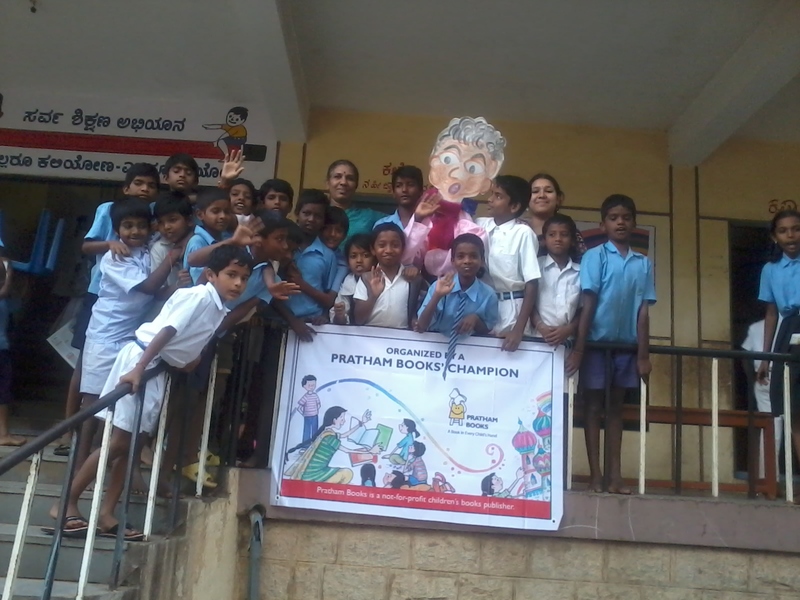 Glad to report that the kids of class 7 and 8 could read the book fluently in Kannada! Hopefully, ALL the children will be able to read at least two languages fluently very soon, now that Paplu has decided to be their friend and help them with their studies!